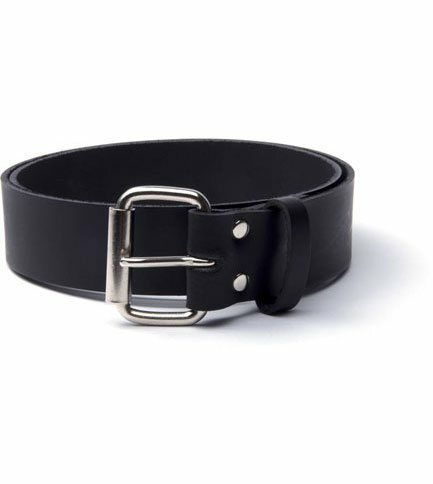 Plain leather belt with roller buckle and leather belt keeper. Made from 100% real leather here in the USA. 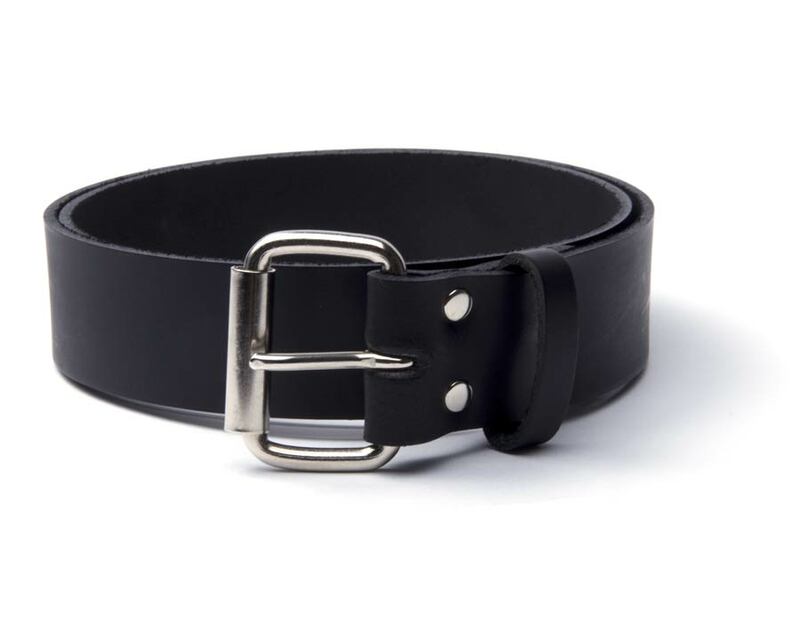 Belt measures 1 1/2 inches wide.